Always time for a selfie, look who stopped by for the 11 AM news with Melanie Lawson and Art Rascon. 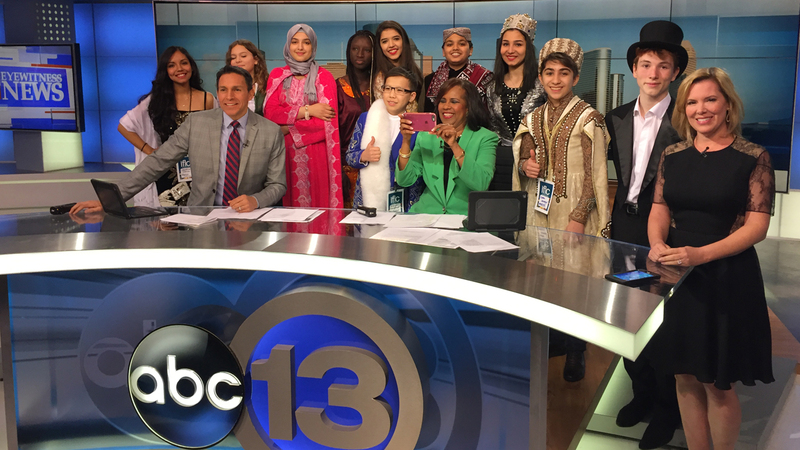 The kids are from countries all over the world here to participate in the Raindrop Foundations 4th annual International Festival of language and culture at the Hobby Center, February 6th. The kids are from Mexico ,France ,Georgia ,Brazil, Germany, Azerbaijan, Kazakhstan, Pakistan, Senegal, Tunisia,and Ukraine . We we're so glad to show you around and it was a pleasure meeting you all!